Conductors Soft annealed solid copper, 0.9/1.3/1.4 mm nominal diameter. Stranding Star quads are helically stranded in concentric layers. Moisture Barrier One laminated sheath made of aluminium tape (0.2mm thick) coated with copolymer on at least one side is applied with longitudinally overlap. Armour One corrugated steel tape is longitudinally applied with overlap. Optional Jelly Filled Cables: The cable core interstices are fi lled with petroleum jelly to avoid longitudinal water penetration within the cable. 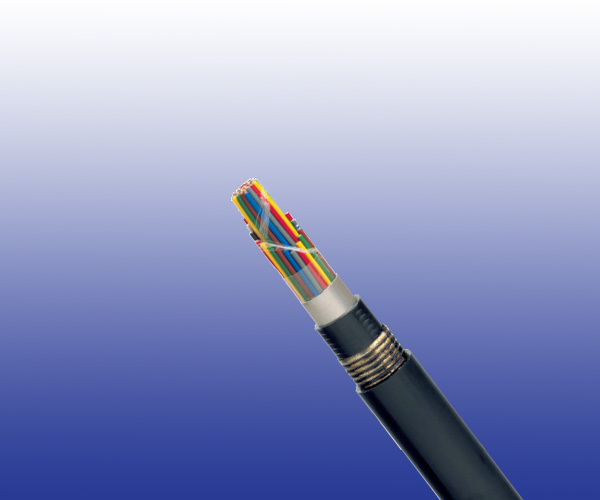 The water resistant filling compound is applied to the air space between non-hygroscopic tape and shield, shield and sheath within the cable core.